The host plant of Ceranchia apollina | Welcome, visitor! Ceranchia apollina (Butler, 1878) (Saturniidae), colloquially called the “ghostly silkmoth” is endemic to Madagascar. Despite standing out among other Saturniidae for its role in sericulture, unique appearance and endemic nature, the monotypic genus Ceranchia is still poorly studied. 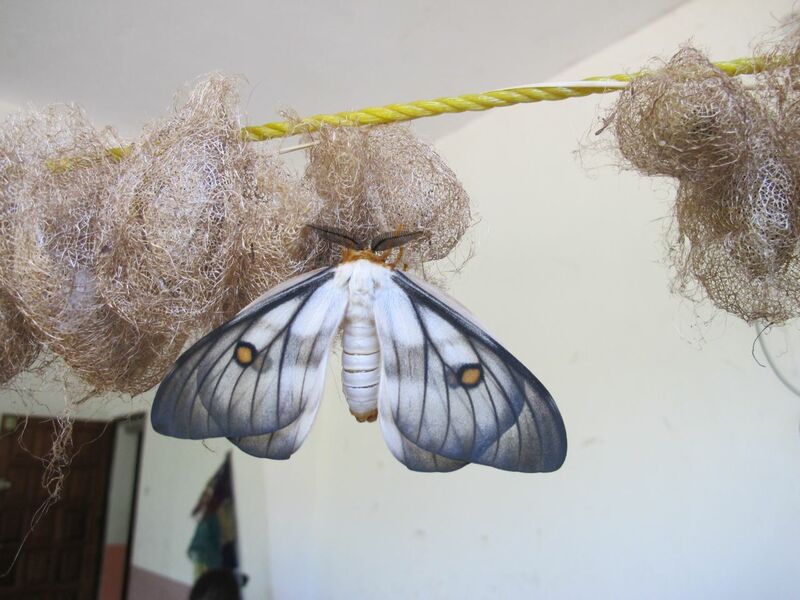 The life cycle and the biology of the species Ceranchia apollina in its natural environment have never been described although the moth is being farmed by the people of Madagascar for silk production. I am happy to announce that I plan to publish the first scientific publication this year that will describe the host plant of Ceranchia apollina, a species that remained a mystery for a long time. It was done in collaboration with the people in Madagascar that know how to breed them. This is what some of you have been waiting for, and I am happy that my research has paid off! Below I have included some of my conclusions and findings.The credit for the pictures included in this article goes to CPALI, the poverty alleviation project in Madagascar, that have kindly granted me permission to use their photographs and data for scientific purpose. I would like to thank Mamy Ratsimbazafy, Catherine Craig and the organisation of CPALI in Madagascar for their hard work and willingness to submit pictures and data for scientific purpose. A freshly hatched male of Ceranchia apollina in captivity; provided by Mamy Ratsimbazafy. I was always fascinated by this species, and to me it was baffling how there is not a single record of their original host plant in literature, especially for a remarkable endemic species like this, especially when there are people in Madagascar that farm them, which means that the host plant is known to people, but not to science! Thus, I decided to make it my mission to get to the bottom of this species. After e-mailing and stalking people in Madagascar for years with no results, the answer finally came from CPALI, that have provided me all their pictures, data and observations – which was enough for me to extrapolate a lot of information from pertaining their ecology. Final instar of Ceranchia apollina on Plectaneia thouarsii; provided by Mamy Ratsimbazafy. Saturniidae often willingly feed on substitute host plants in captivity; plants from the same families as the native host plants are often eaten by polyphagous species, even though the moths often do not come in contact with these plants within their natural environments. For example, A. suraka, the closest relative of C. apollina, is commonly bred in Europe by hobbyists – they reproduce very easily in captivity and will readily feed on a wide range of host plants. Ceranchia apollina however, despite being offered a very wide array of plants from the Apocynaceae, were reported to reject Hoya, Vinca, Jasminus, Asclepias, Stephanotis and Nerium in captivity and refused to feed. 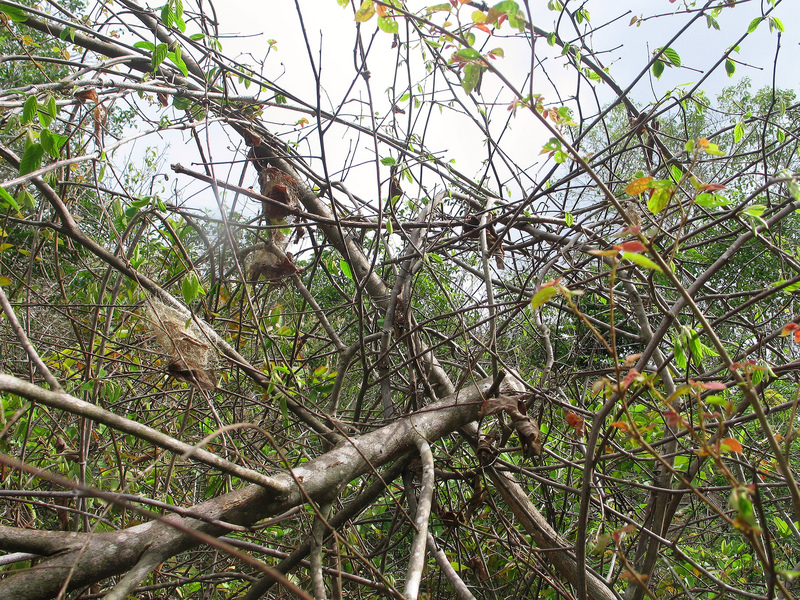 However, not all attempts at finding substitute Apocynaceae were unsuccessful. Rolf Oberprieler mentions having successfully reared C. apollina from the egg stage to adult on Plumeria with “limited success” (Staude et al. 2016) and wrote to the author in correspondence: “Several larvae in the end started feeding on leaves of Plumeria rubra (frangipani) (Apocynaceae), but ONLY on leaves that had been put in water for at least a day, never fresh ones. I assume that some toxic substance in the leaves leaches into the water or denatures when the leaf is separated from the plant. 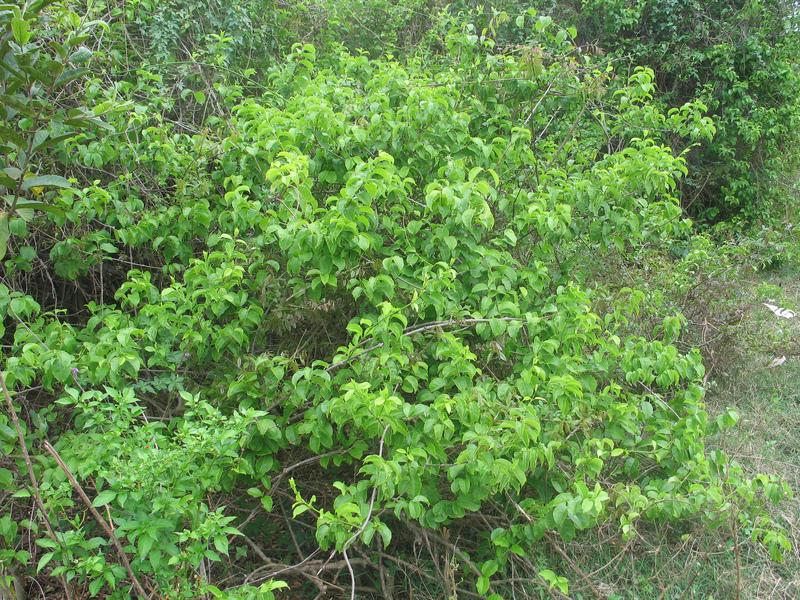 Whatever it is, fresh leaves were unacceptable to the larvae in all instars.” and the qualifier of limited success being that Rolf Oberprieler mentions he has only succeeded “in getting a few larvae to pupate and only one female to hatch.” Carl Bert reports young larvae feeding on Carissa macrocarpa (Apocynaceae) but none of the young larvae surviving for longer than a few weeks, and also reports that the larvae will feed on Peripocla laevigata angustifolia (Apocynaceae) with moderate success, even shedding skins to later instars, but none of them making it to the pupal stage. 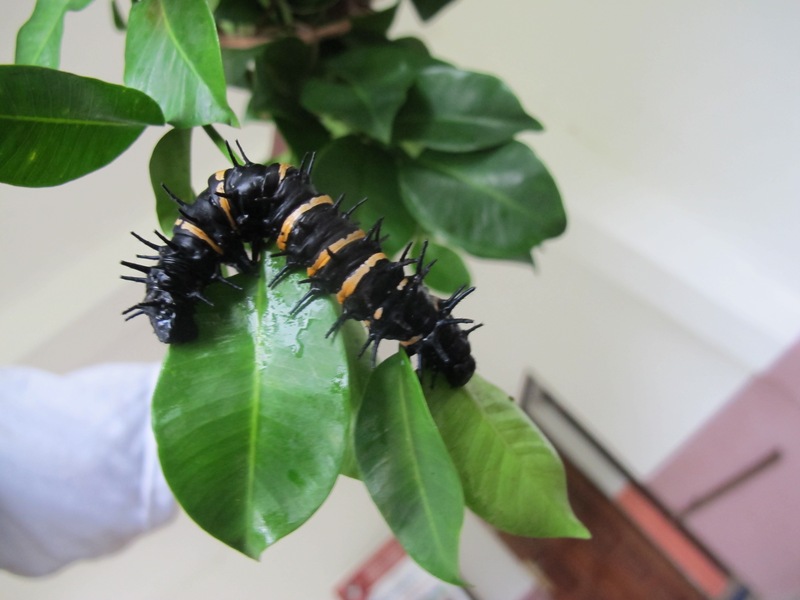 The fact that most Apocynaceae alternatives are rejected in captivity and the fact that larvae struggle to make it to the pupal stage on the ones that they do feed on could be evidence for the fact that they are rather specialized to feed on Plectaneia, to the point of being almost unable to feed on other plants. Even in the rare cases that they are reared to adulthood on other plants than Plectaneia, it is done so with a high mortality rate. It is evident that C. apollina hardly accepts alternative Apocynaceae, refusing to feed on many of them and struggling to make it to the pupal stage on the host plants that they do feed on. Thus, providing C. apollina their natural host plant (Plectaneia) is likely to be a key factor needed for the successful breeding of this species, and it is theorized that C. apollina is likely specialized to feed on Plectaneia to the point of being barely able to feed on any alternatives. This suggests that Plectaneia thouarsii may play a significant part in the ecology C. apollina, and could be vital for the conservation of this species and their habitat in the wild and cultivation of this species in captivity. However, despite this theorized natural dependency on Plectaneia, C. apollina seems to have retained some of the polyphagous habits that are usual for Saturniidae, with one breeder even raising the larvae to the pupal stage on Plumeria, although with a high mortality rate. The possibility remains, therefore, that C. apollina has additional natural host plants in Madagascar belonging to the Apocynaceae family other than just Plectaneia that are still undescribed. Also notable is the fact that plants from the family of Apocynaceae contain defensive chemicals, which are frequently sequestered by Lepidoptera species that are specialized to feed upon them. The sequestration of pyrrolizidine alkaloids from Apocynaceae has been recorded in unpalatable Danainae butterflies; many moths have adopted this strategy as well, namely Arctiinae moths from the family of Erebidae ( Trigo et al. 2008, Wink et al. 1997). The caterpillars of C. apollina that display either orange/black or white/black stripes are quite conspicuous and thus it seems plausible, although unconfirmed, that this coloration is aposematic and indicates that the larvae could be toxic from potentially sequestering toxins from their Apocynaceous hostplants. All this information I have published in a scientific report in TropLep.